There are quite a lot of differences between a cupboard and a wardrobe, which includes the appearance, usage and placement of it. A cupboard can be any piece of furniture used to store kitchen equipment, utensils or even display a collection of items like; plates, porcelain, religious items or even small pieces of clothing that can be folded. In the good old days, cupboards were used to display the wealth of the homeowner. 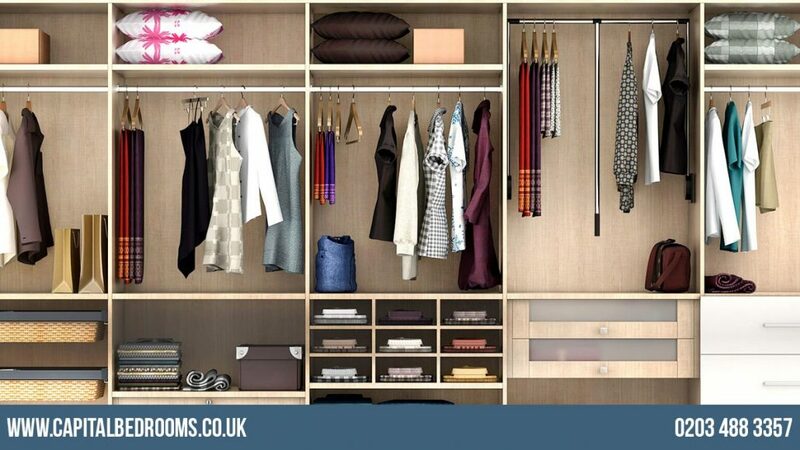 Today wardrobes are a specific type of storage used to store up clothes, accessories etc. Cupboards are generally placed in living rooms or kitchens, while wardrobes are placed mostly in bedrooms. It is easy to distinguish between a wardrobe and a cupboard. In centuries past, the cupboard mostly had four doors and three drawers. In the modern times, a wardrobe may have one, two and may even have six doors. It’s larger than a cupboard and typically has a mirror attached to at least one of the doors. Another important aspect in identifying between a wardrobe and a cupboard is its location. Most cupboards are placed living rooms or kitchens where they are frequently visited by guests. Whereas wardrobes are mainly found in more private areas of the home like the bedroom. A cupboard and wardrobe are both mainly used as storage furniture. Both mostly made of our wood, but a wardrobe is more stylish and come in a variety of colours and finish. If you look more carefully at the features of both the storage units and identify their usage, it will help you in telling the difference between both the cupboard and a wardrobe.